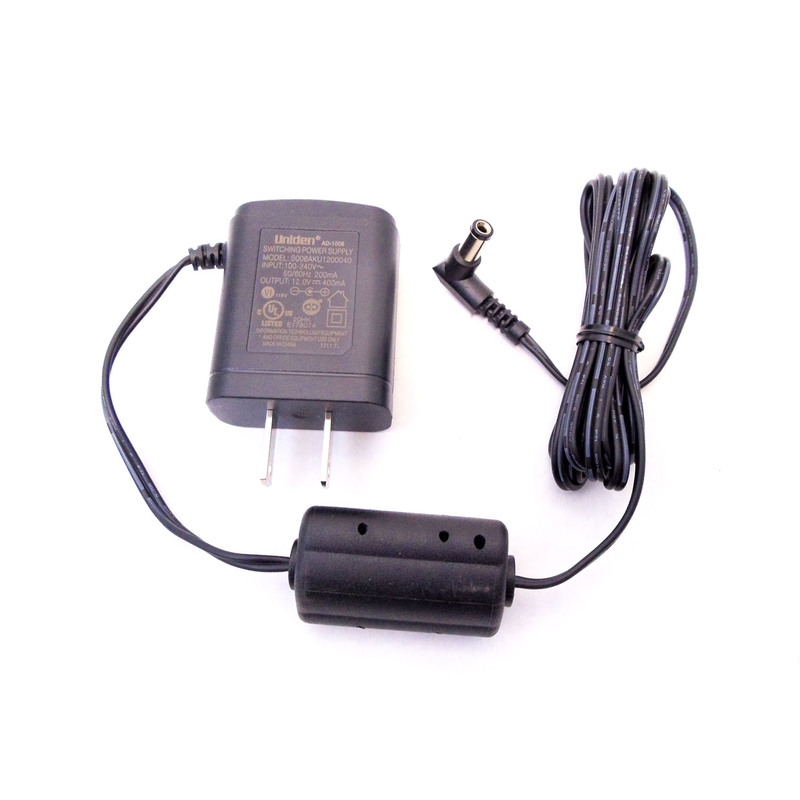 UNIDEN PART AD-1008 AC ADAPTER PLUG IN CLASS 2 TRANSFORMER FOR BC340CRS, BC370CRS & BC355N/C. INPUT:AC120V 60HZ 18W - OUTPUT:DC 12V 400MA. UL LISTED, MADE IN CHINA.